Want your teacup puppy delivered ASAP? Shop today with us! Candy is a fluffy beyond cute little doll face Teacup Chihuahua puppy! Our candy cinnamon is in muted pastel chocolate color. 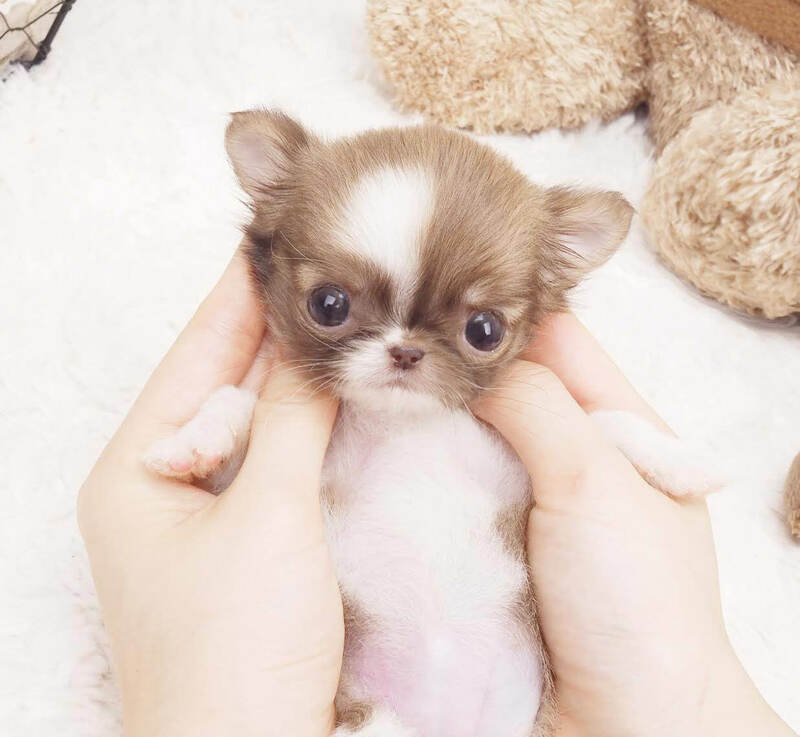 Teacup Chihuahua has the look and it is famous for its huge eyes, round head, and compact square balanced bodies. 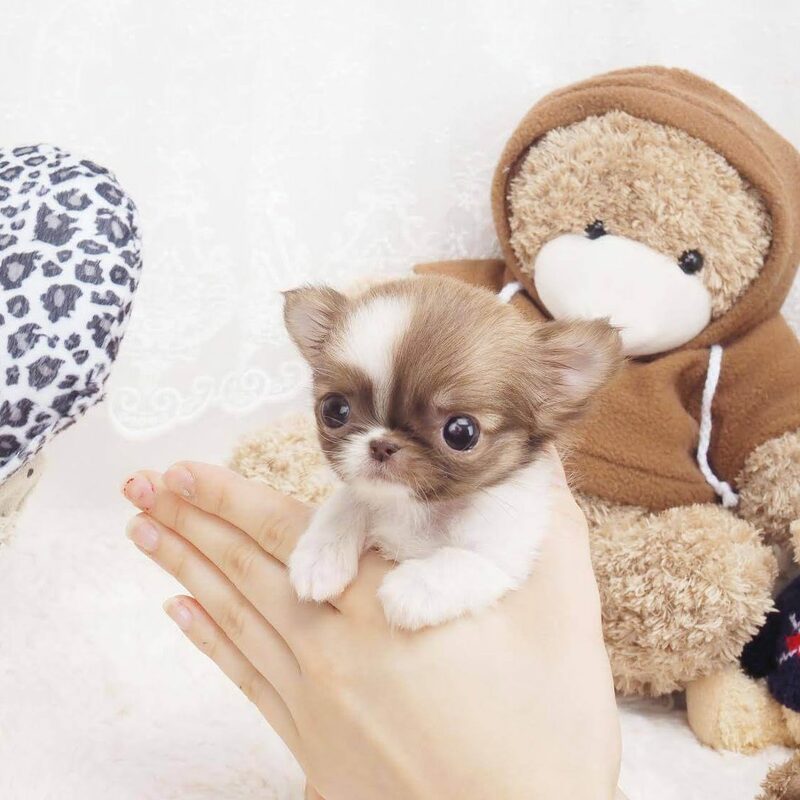 You will never go wrong adding this micro Chihuahua puppy for sale which showers with lots of kisses and hugs. 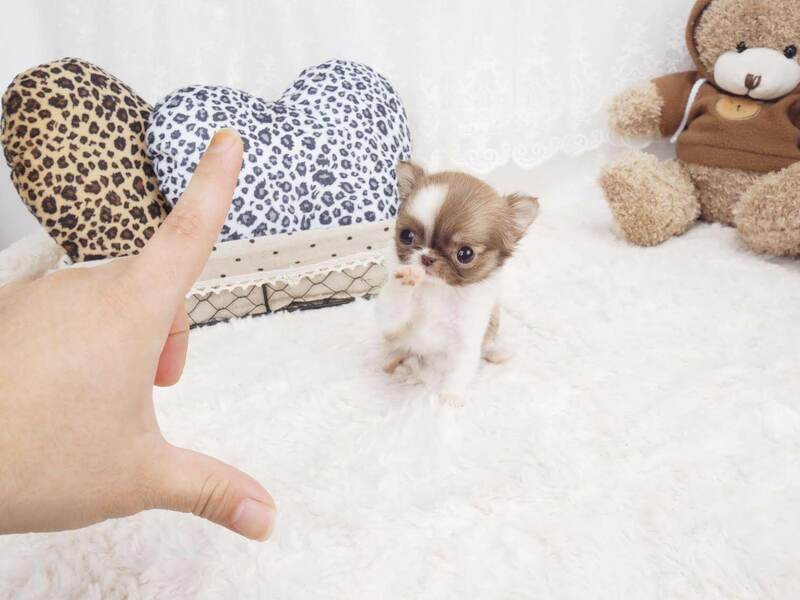 Grab our excellent and healthy candy cinnamon teacup micro Chihuahua puppy for sale by call or text.